We will move your gym or exercise equipment. At the Atlantic Fitness Repair division we provide a full service of fitness equipment relocation, setup and delivery services. Weather you have purchased a Life Fitness and Hammer Strength 100 piece Gym, an elliptical machine or Pro Form Treadmill at Sports Authority, or your moving company didn't setup your SportsArt Treadmill correctly after your move please call Atlantic Fitness Repair and we can setup your one piece of fitness equipment or your entire gym. 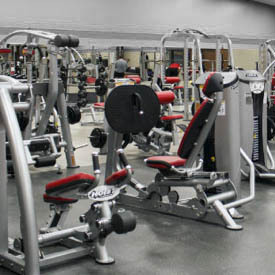 We provide a full service fitness equipment relocation service. We can move manufactures of all different kinds of weight machines and gym equipment. Are you moving your home or business to a new location, or you have you recently moved to a new location and your equipment needs to be setup? We can take care of all your needs. If you're moving out of the area, we may even be able to find someone in that area who can help. Please see our service area: DC Metro Service Area.